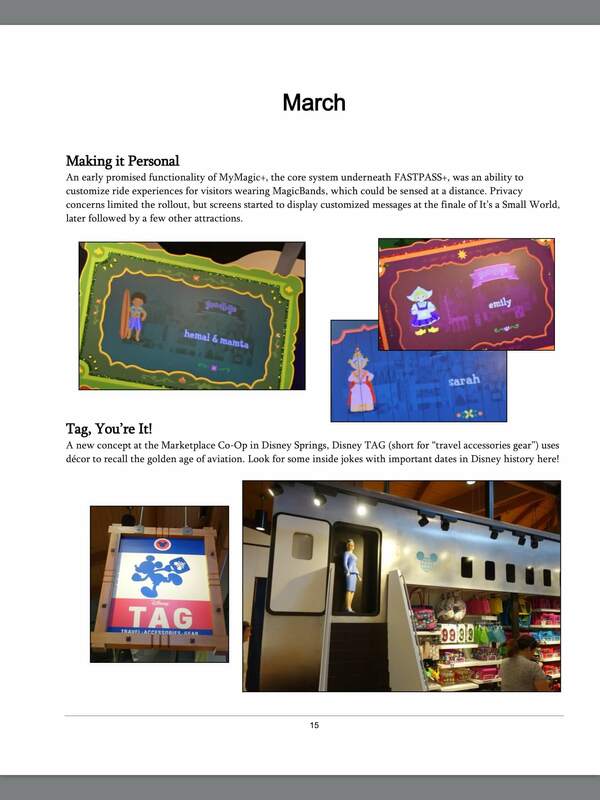 With the release of the 2016 Walt Disney World Earbook, Kevin Yee has done it again! This is another must-have book for every Walt Disney World fan. So, what is the ‘Earbook? If you’re not familiar with Yee’s ‘Earbook series, he’s been producing an annual overview of the Walt Disney World resort since 2010 (this is the seventh title in the series). Yee promotes it as being similar to a high school yearbook; the ‘Earbook is something that you can look at in years to come to remember past vacations. To me, the ‘Earbook is a historian’s dream. Who wouldn’t love a way to look back at specific years at Walt Disney World to see the changes? 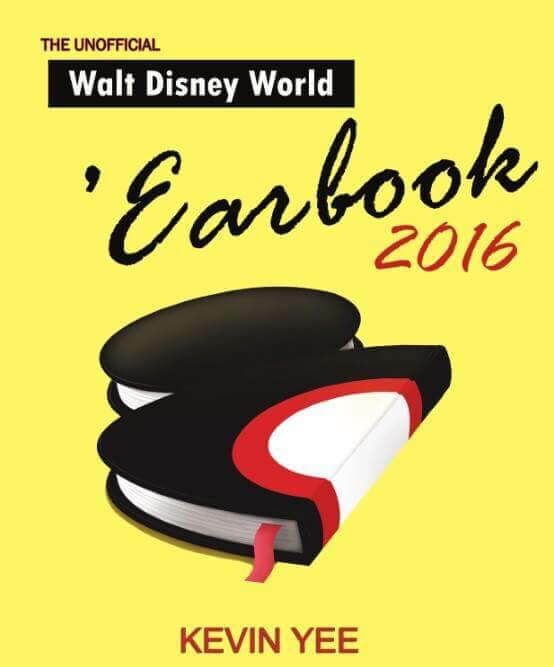 The 2016 Walt Disney World Earbook! ImagiNERDs should be familiar with my lament about the dearth of published information on Walt Disney World over the first 30 years. For example, when searching for the exact opening and closing of a certain attraction or restaurant, even official resources offer varied dates for opening and closing. That’s one of the reasons the ‘Earbook is so important. Yee visits Walt Disney World a few times each month and has throughly documented the changes. Yee knows his stuff. Yee breaks down the year, month by month, and focuses on all of the changes throughout the resort. Each month has its own chapter with a lot of photographs to offer a visual. The end of each month is a chronological list of all of the changes. 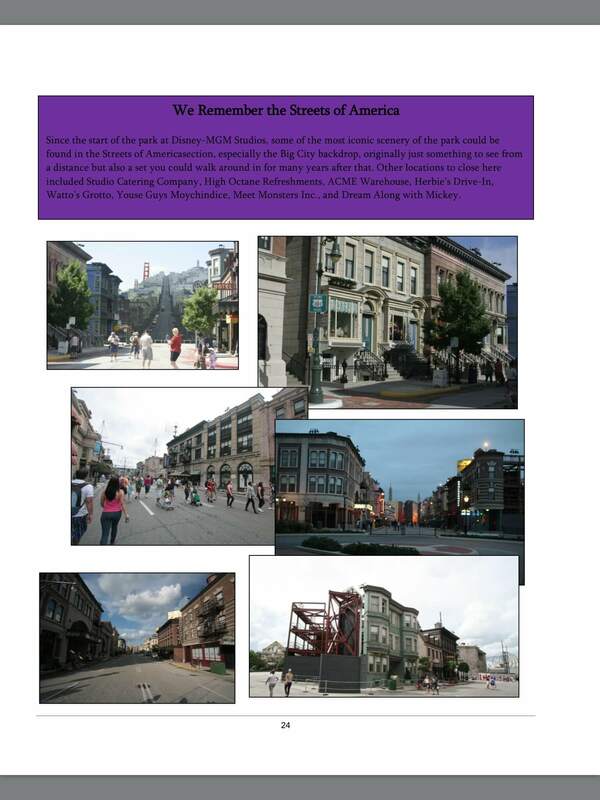 Yee also offers a look back at attractions that have closed with the We Remember… sections, which is a fond look back at the previous attraction. It’s a nice addition and one that will help show the evolution of the Walt Disney World resort. I can’t stress how important this series is. Especially, for anyone who has an interest in trying to document the history of the parks. Imagine being able to pick up a book that transports you back to a Walt Disney World from a past vacation. Did you go on a vacation to Walt Disney World in 2016? Then you need to add this book to your collection. Although 2016 might have seemed pretty bad to the outside world, it really was a very transitional year for Walt Disney World. Yee’s ‘Earbook helps shed light on the changes we’ve seen. There are some great appendices at the end of the ‘Earbook. Yee lists all of the groups that played at Epcot. He also lists the food and prices at all of the booths at the Epcot Food and Wine Festival. 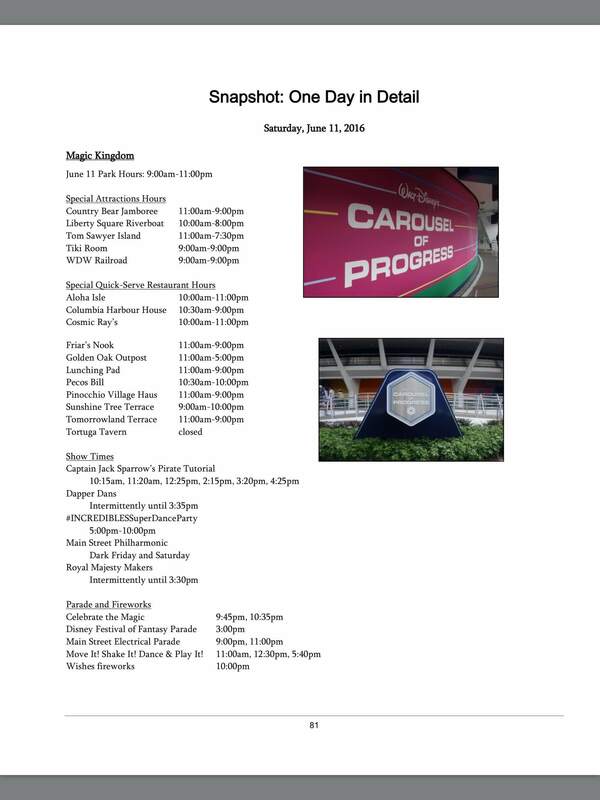 Yee even created a snapshot of one full day during the summer at all the parks. He gives us the operating times, the entertainment times and a look at some of the food prices. If you’re any kind a fan of Walt Disney World then you need to own a copy of this book. It is available in paperback and e-book format. Are you going to pick up the 2016 Walt Disney World Earbook? What do you think about this series?